Peterson Machinery offers Oregon and Southern Washington store locations with facilities at Portland, Albany, Eugene, Klamath Falls, Medford, North Bend, and Redmond. 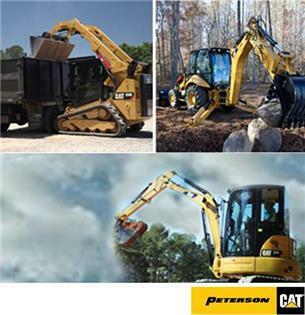 We also operate three CAT Rental Stores, located in Medford, Redmond, and Springfield. Serving the construction, forestry, agriculture, governmental, and trucking industries, we’re ready to support your business with Caterpillar equipment, parts, repairs, rentals, and more. Give us a call to learn how Peterson Machinery can help you with all your equipment, power, and engine needs. Други филиали на Peterson Machinery Co.
Това е страницата на компанията Peterson Machinery Co. - Salem, която се намира в САЩ, Oregon, Salem. Peterson Machinery Co. - Salem представя търговските марки: Caterpillar.